Channel the coziness of the season with this contented teddy bear charm in sterling silver. 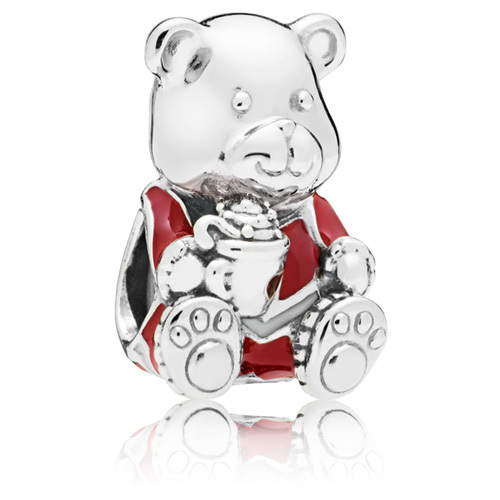 Sipping on a cup of cocoa, the bear is dressed in a red and white enamel outfit. Perfect for festive stylings.